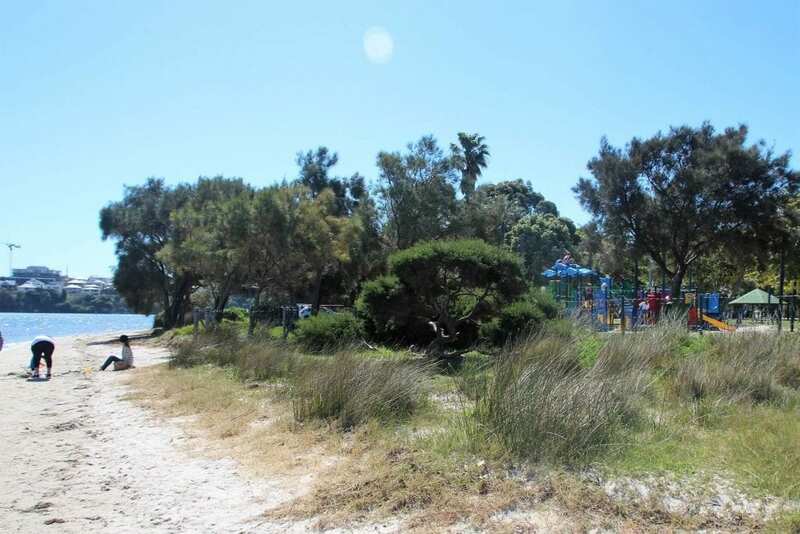 John Tonkin Reserve is found on the banks of the Swan River in East Fremantle. It’s a lovely spot for a family picnic, with lots of shade from mature trees and picnic shelters. 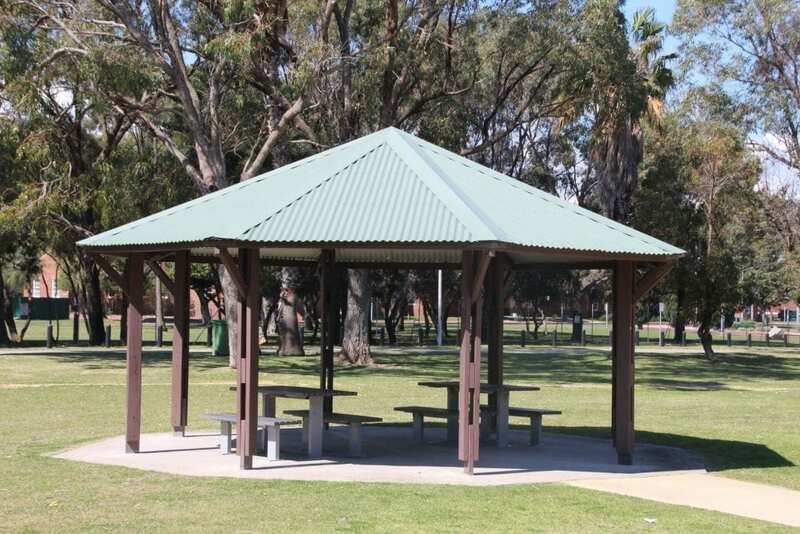 There are BBQs, picnic tables and park benches found in the park. 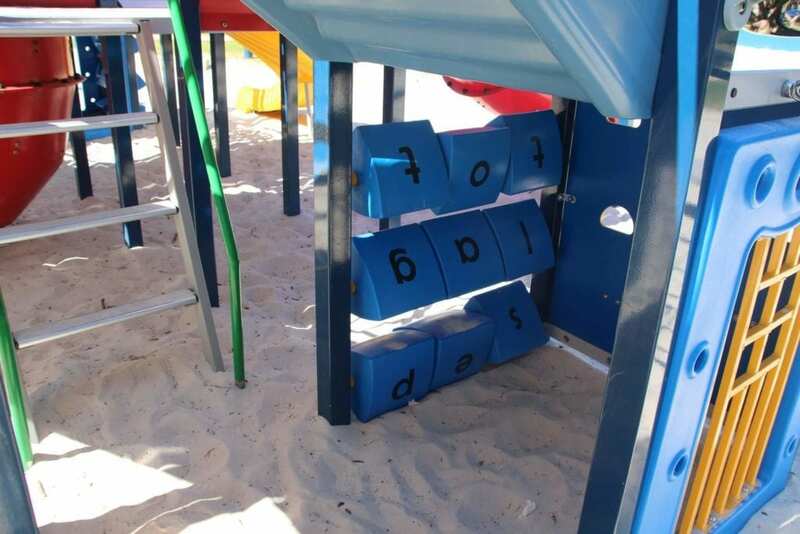 There’s a large boat themed sand fall playground, which is shaded by sails in warmer months. 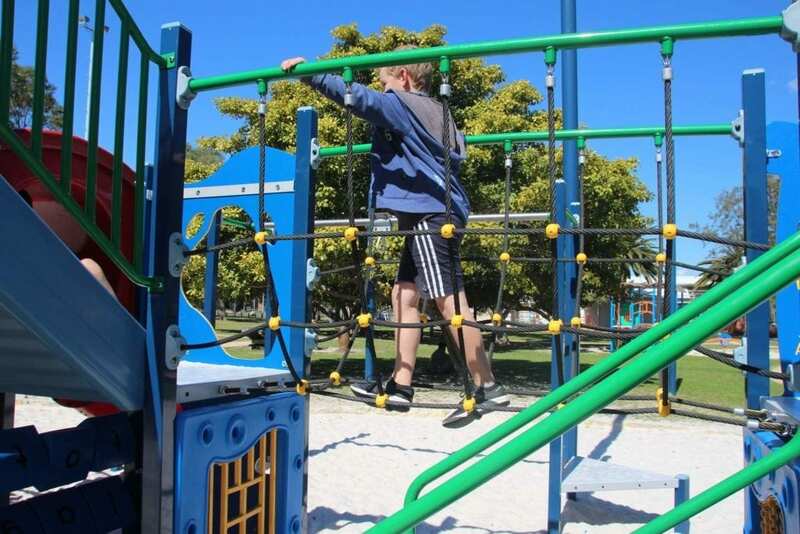 The playground features lots of fun climbing equipment. Little Chef loved the climbing rungs in the tunnels. 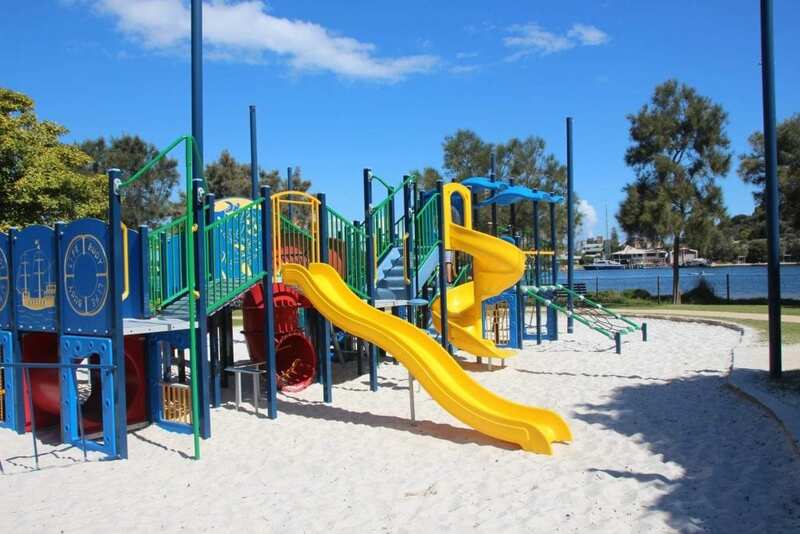 Kids will also be happy to discover slides, climbing ropes, a climbing wall, a fireman’s pole and more. On the boat kids will be able to enjoy a bit of imaginative play, steering the ship’s wheel, and looking out for pirates with the telescopes! Walking along the rope bridge is a bit like walking the plank! Under the boat are word puzzles and a little shop too. There is also a smaller sand fall toddler play area dappled in sunlight. 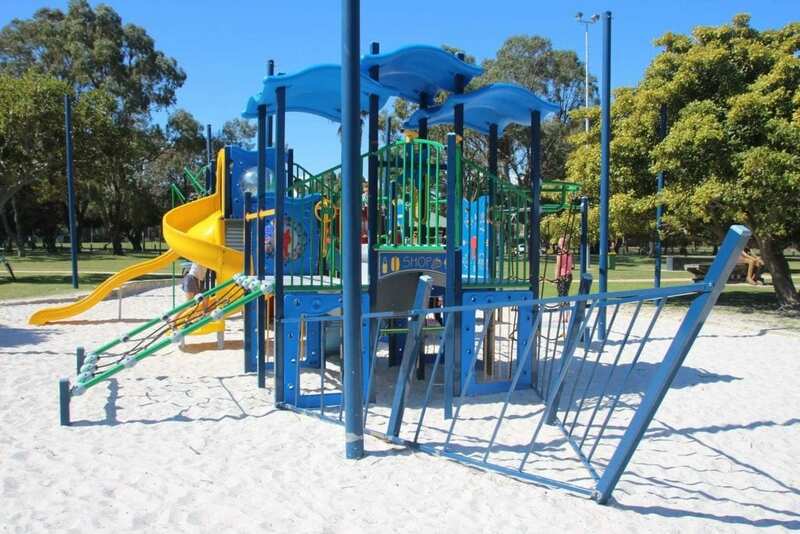 There’s a climbing structure with slide, and a see-saw too. Plus loads of grass for running about or kicking a ball. 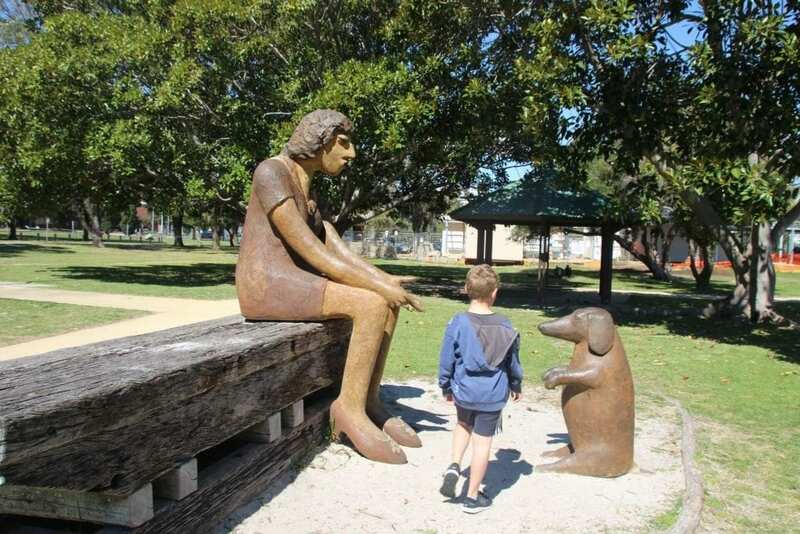 We love the public art featuring a larger-than-life lady and her dog. It is very close to the river, so be sure to keep an eye on toddlers. 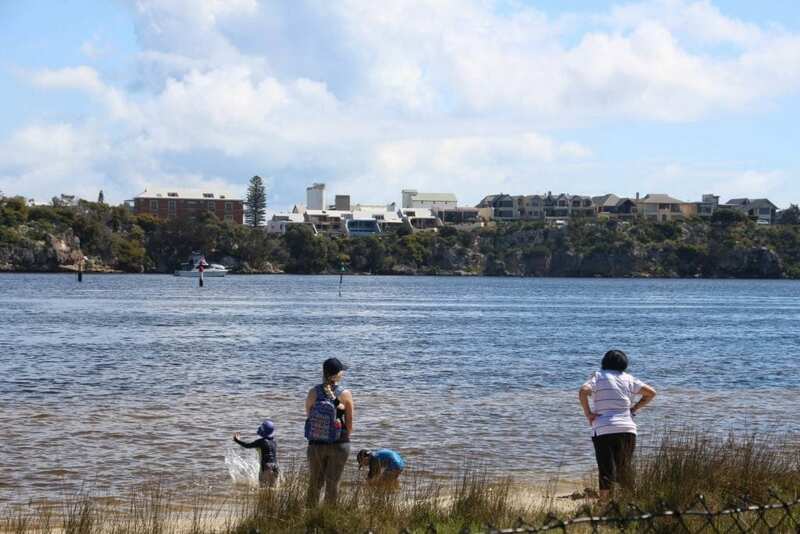 They will enjoy splashing about in the water, playing in the sand on the little beach and watching the ducks waddle around. There are lots of boats to watch on the river, with yacht clubs and the water police station nearby. 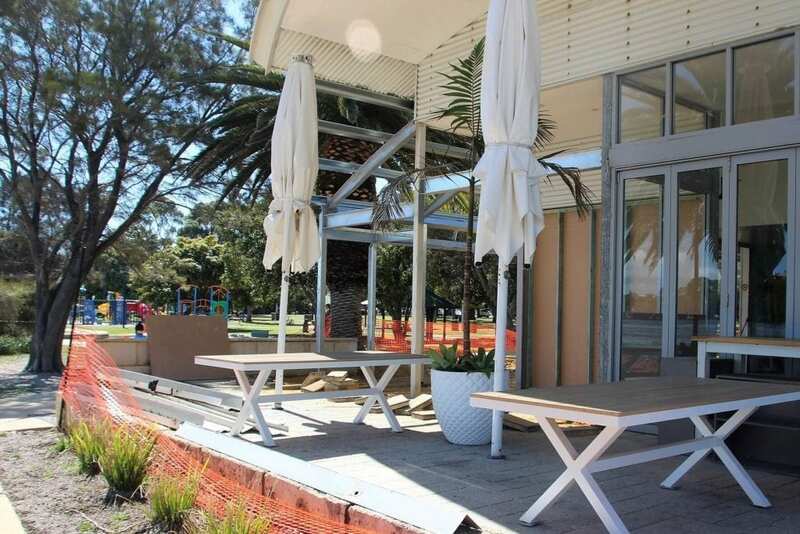 Zephyr Cafe and Kiosk, which has been newly renovated, is right next to the park and perfect for grabbing a take away. There are toilets located at the park. 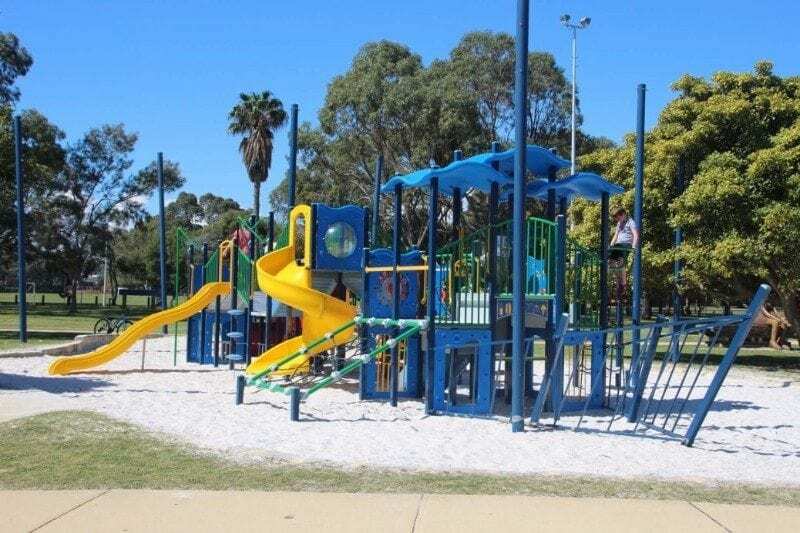 Find John Tonkin Reserve at 110 Riverside Road, East Fremantle. 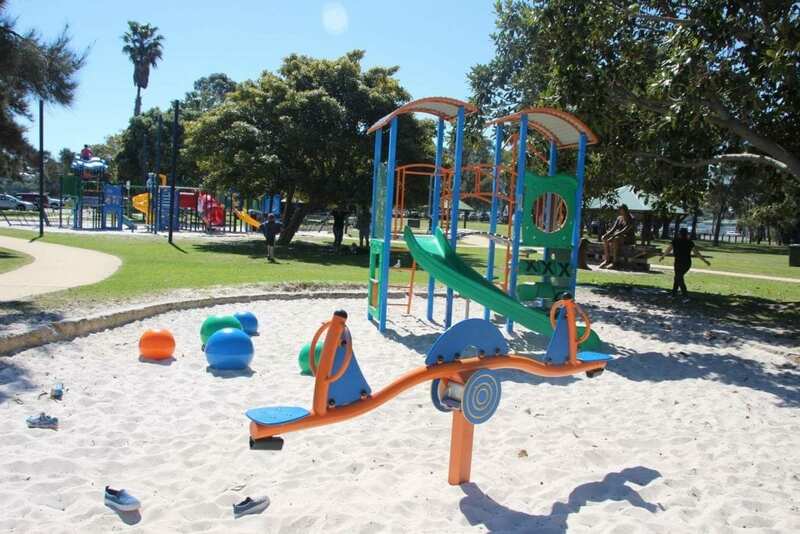 This is one of our absolute favourite playgrounds. Such a beautiful location and lots of different aparatus in the playground. 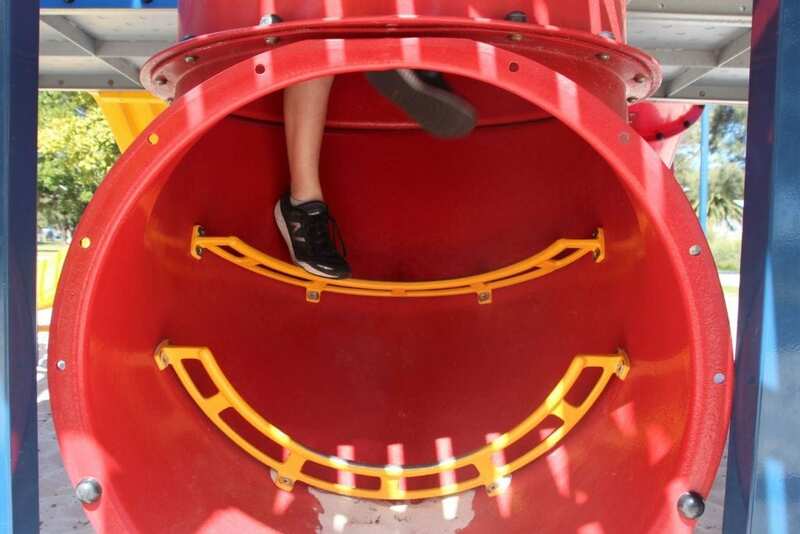 My toddler loved it!